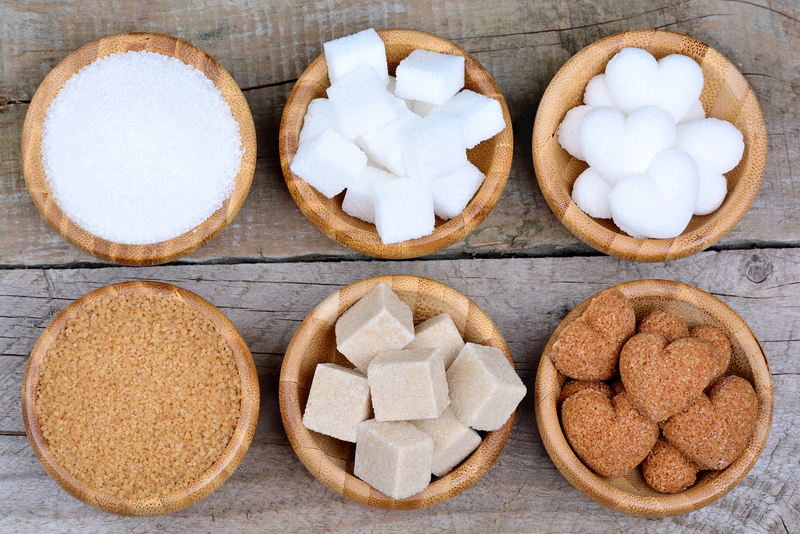 The Types of Sugar – Are All Sugars Created Equal? Sugar is as addictive as cocaine. It’s no wonder we fall prey to all of the marketing hype surrounding different types of sugar that have so-called “health benefits.” Sugar is sugar, regardless of its source. Sugar causes inflammation regardless of its source. Sugar-containing substances differ in their glycemic index or the rate of r glucose levels in the bloodstream. 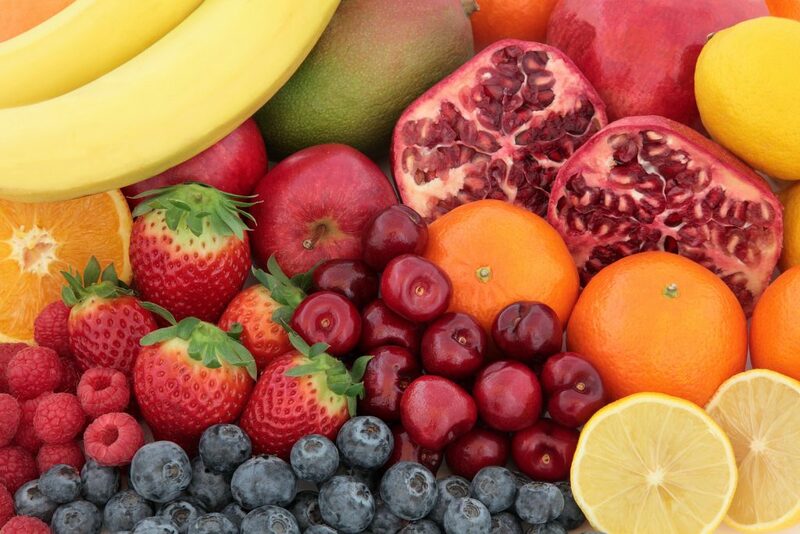 However, the glycemic index alone does not define the nutritional value of a food and its health benefits nor does the “naturalness” of its source. Sugar also has calories and can contribute to weight gain. Whether it is brown or white, sugar is 97-100% carbohydrate with no fiber, fat or protein. It may contain no water or 2-3% water. Brown sugar has a moderate amount of iron. Glucose, also known as dextrose or grape sugar, is one of the types of sugar found in plants. It is the main source of fuel for cells and most carbohydrates (sugars, starches) are metabolized to glucose which is taken up by cells. Sucrose, or table sugar, is a combination of fructose and glucose. Sucrose remains the leading added sugar consumed in the American diet and the leading source of fructose consumed. High Fructose Corn Syrup – the forms of HFCS used in most foods and beverages are typically composed of 55% fructose and 45% glucose in beverages or 42% fructose and 58% glucose in baked goods. Maltose comes from germinating grains and is just 2 glucose molecules joined together. Lactose is a form of sugar originating from dairy products like milk, cheese, butter, and yogurt. Starch is found in vegetables, cereals, grains, flour, wheat, corn, and rice. Maltodextrin is synthetic polysaccharide of broken down starch. Honey or Maple Syrup – Are These Types of Sugar Better? When it comes to the glycemic index, honey and pure maple syrup are somewhat better types of sugar to use. The glycemic index goes from 1 to 100. Glucose has a glycemic index of 100 which represents how fast blood sugar rises in the bloodstream to stimulate an insulin response. Pure maple syrup has a glycemic index of 54 and glycemic load of 7. Table sugar has an index of 65. Glycemic load takes into account the amount of sugar in a serving. Per tablespoon, pure maple syrup contains 52 calories, honey contains 64 calories and table sugar 48 calories. Thus, there is not much difference, however, the “healthier” sweeteners have a higher calorie count. Honey is composed of fructose (38.2%), glucose (31%) and about 9% of other disaccharides. It has a glycemic index of 31 to 78 depending on the variety and has insignificant amounts of vitamins, minerals, amino acids and enzymes. Maple Syrup is mainly composed of sucrose. What I am describing here is pure maple syrup, not maple flavor, pancake syrup, table syrup, or other substitute. It contains trace amounts of protein, fat, vitamins and minerals. Sugar alcohols are anything ending in “tol.” They are neither sugar nor alcohol and are used in sugar free products. Sugar alcohols are not completely absorbed and have a lower calorie count. They don’t require insulin to be converted to energy which is an advantage to diabetics. However, because they are not well absorbed, they can have a laxative effect causing diarrhea, or can be fermented by gut bacteria causing gas and bloating. They can cause weight gain if over-eaten and can raise blood sugar in diabetics. Common sugar alcohols are mannitol, sorbitol, xylitol, lactitol, isomalt, erythritol, maltitol and hydrogenated starch hydrolysates (HSH). They are manufactured from cornstarch, sugar cane, or birch wood waste. There are many types of sugars and in small quantities you can indulge as long as you don’t have negative metabolic or mood effects such as diabetes, high fasting insulin, high Hemoglobin A1C, inflammation, mood swings, sugar high or sugar crashes. 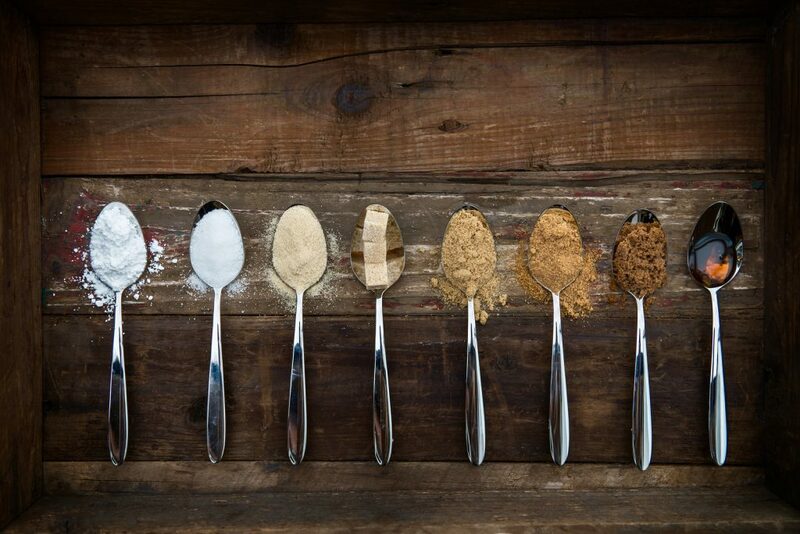 If you are unsure of which types of sugars you can tolerate, consult with a functional medicine doctor who can help you determine what is best for you.